Hello Everyone!!! 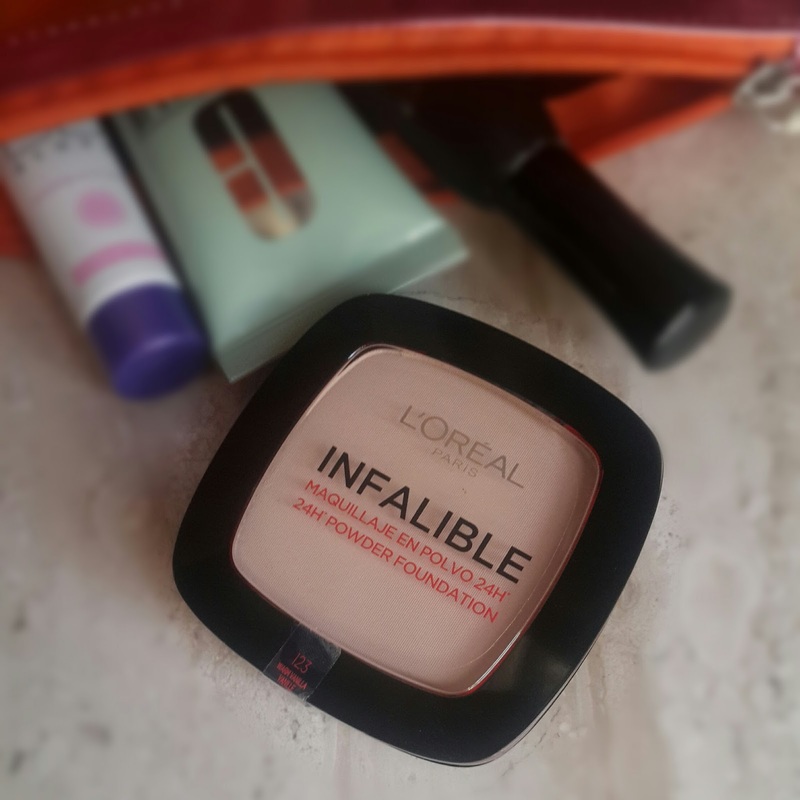 Today I will be reviewing L’Oreal infallible 24 Hour Powder Foundation. Its not a new range we all have heard of infallible range before also but this is a new packaging and new formula. Its powder + foundation in warm vanilla shade. This shade is for fair skin having warm undertones. 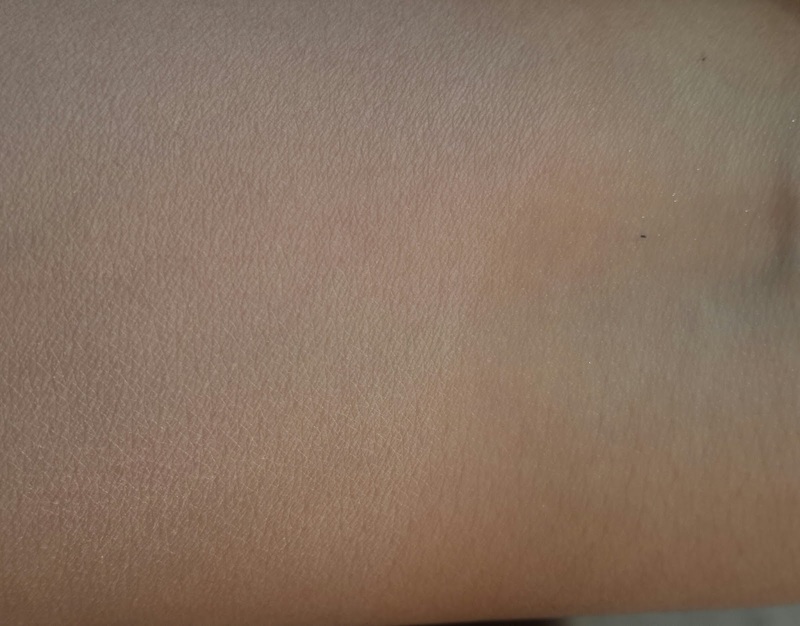 It claims to have coverage like liquid foundation. Old Infaliible range compact was a 16hour stay this claims for 24 hour stay but i haven't tried keeping it for 24 hours. Packaging -Infallible is Spelled wrong on the cover. 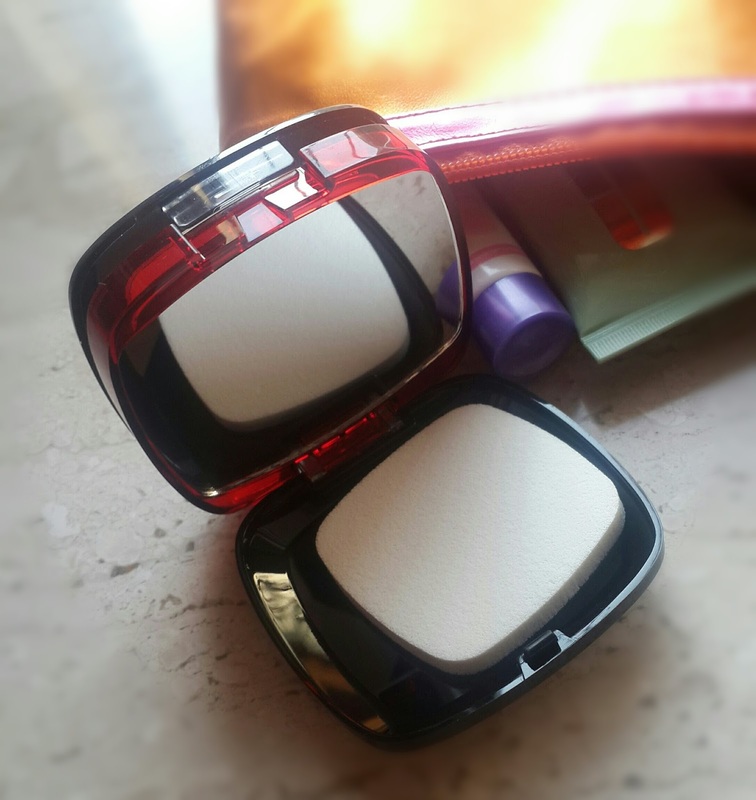 It come is square transparent compact with powder on top and below there is mirror and sponge applicator in it. The texture of powder is light does not feel heavy like foundation. You can also apply it using wet sponge.As I felt the formulation is bit on drier side always use a proper moisturiser. I like to use this on bb cream or cc cream as this already has medium to high coverage. Packaging is very travel friendly and great for getting touch ups. I have tried using on foundation but it makes my face appear cakey. Immediately after application its easily visible on face feels powdery but after some time it gets set and gives flawless effect to my skin. Its a waterproof and does not mattify your skin completely. If you don’t need much coverage you can use it alone or if you want more coverage you can use it over liquid foundation. For daily purpose I wouldn’t recommend it with liquid foundation. I really liked the new formula as it didn’t contain any SPF in it and can also be used in flash photography. Its very smooth and easily blendable on skin. Its not so highly priced.I haven’t used it for 24 hrs but it does stay on well for 8-9 hrs . It did not make my face dull or oily after a whole day . 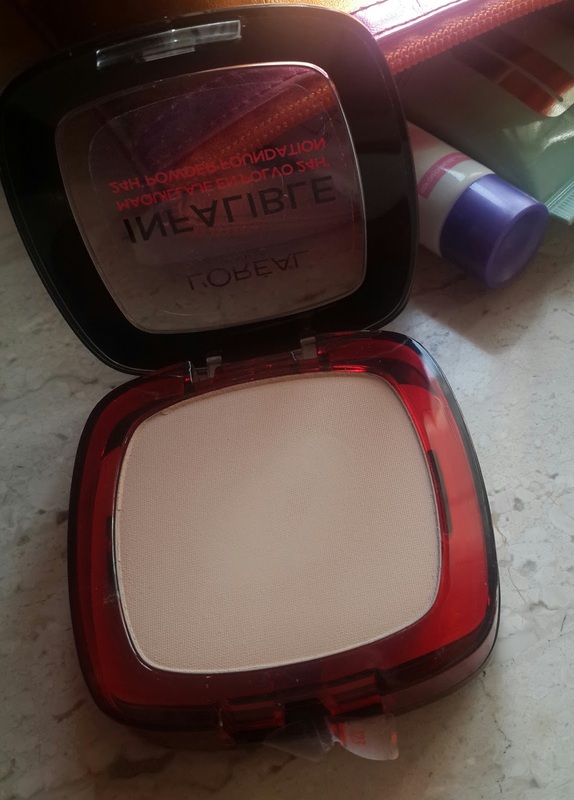 If you looking for some high coverage foundation with powder which stays for long this one is great. Overall its a great product but i don't think i would buy it again as i prefer liquid foundation over powder and still there are better powder options available in the market . Its not yet available in India. Hello girls!!!! 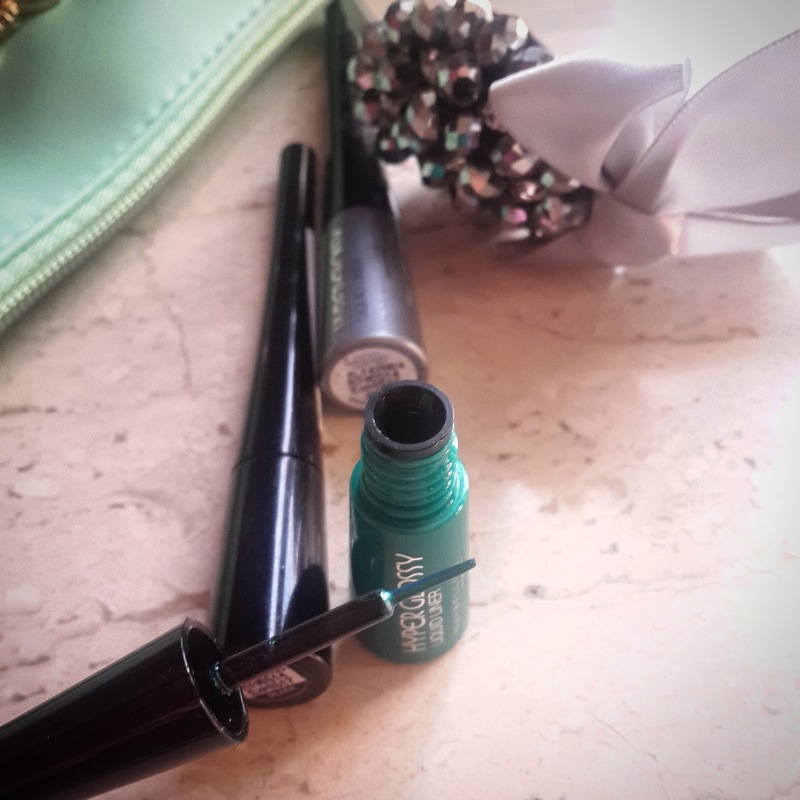 Few days back I had got Maybelline hyper gloss liners and this days I have been using them alot. Finally I thought of writing a review on it as I really liked them. 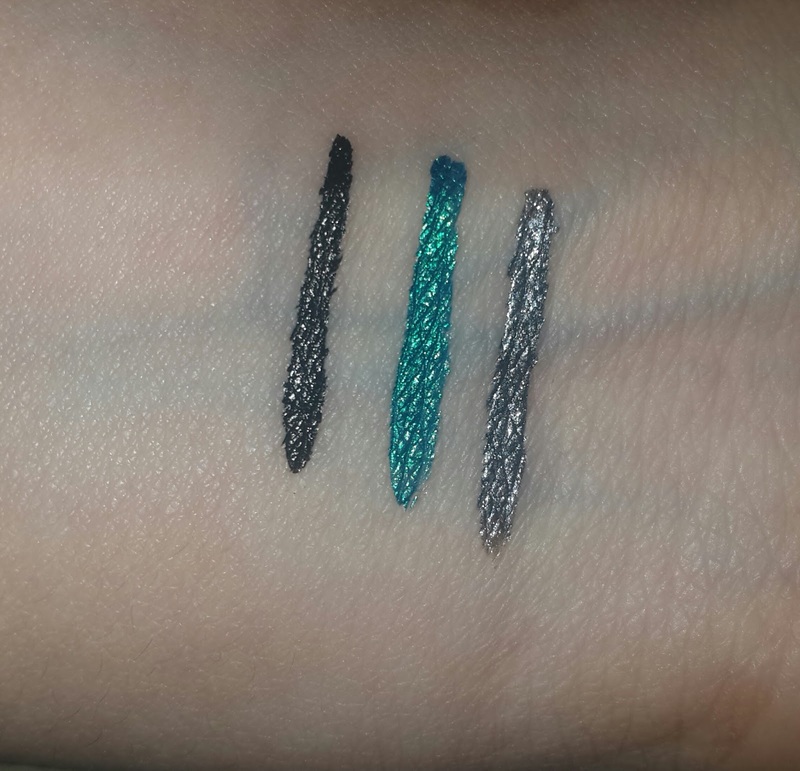 They have launched 5 super glamorous electric bold color liquid liners . They all contain glitters in it. I have got them in Silver Trance, Lazer Green. Also got in black which is not included in this range but now it comes with new packaging. The other shades in this range which I did not buy were in Golden, Violet, Electro shock blue. 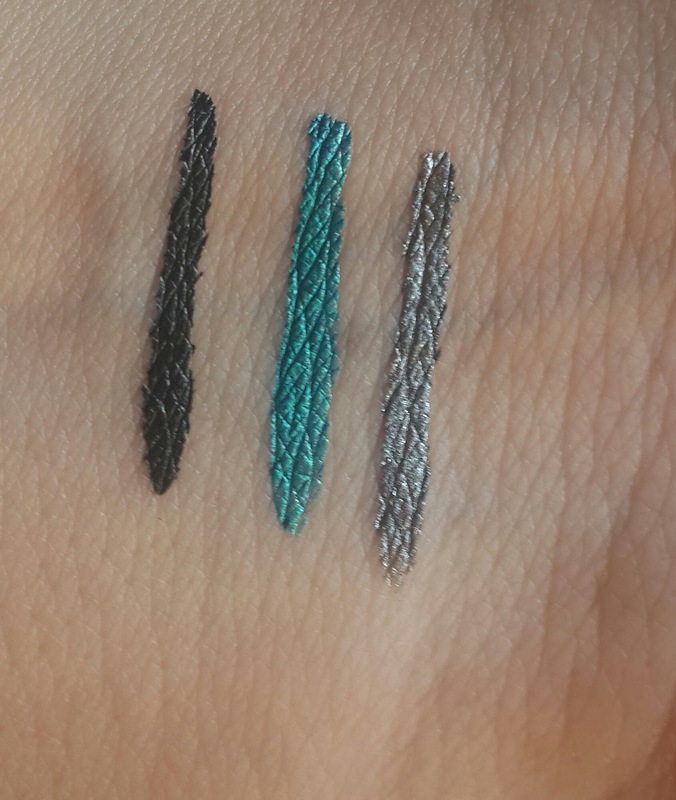 This liquid liners come in slender colored bottles with fine brush in it. I loved using black the most while green is also gorgeous color. It helps in precise application of liner. The consistency is not sheer or watery infact quite opaque on 2 application can get maximum intensity. It dries of quickly and are not waterproof . I felt they are too bold so colors like violet and green cant be used much. They are of glossy finish. Stays for almost whole day without smudging. They are very easy in application as the brush is very precise you can create even cat liner with this. 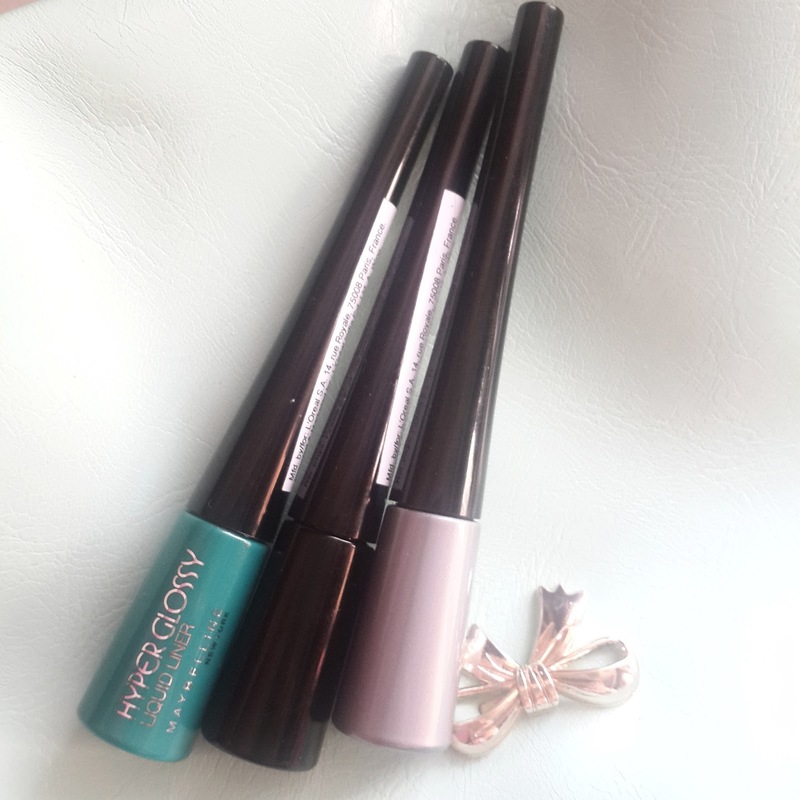 The price range is very reasonable if you want some fun colors on eyes and make them really pop you can try this colors. I think this are really amazing for college going girls . I generally like using bold color eye pencils rather then going for liquid. And I am not such a fan of glossy liners I prefer gel over liquid. But some how I am currently in love with this black liner as its so precise in application and makes quick without making it messy. Lazer green is beautiful vibrant emerald green color having very little sparkles in it hardly visible. Silver trance is metallic silver color with glitters in it You can use this on your inner corners of eyes to give metallic eye look . Black does not contain any glitter or sparkles its intense black color having glossy effect. Overall its worth to buy this liners they really last long and are not pricey. Hello Beauty lovers!!! 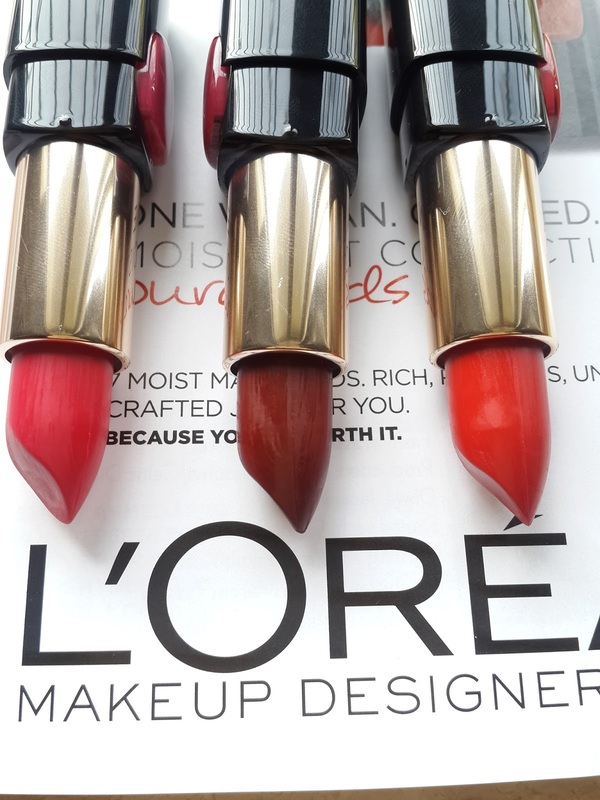 As 2015 begins L’Oreal have their biggest launch for this year that’s Color Riche Pure Red Star Collection Lipstick. 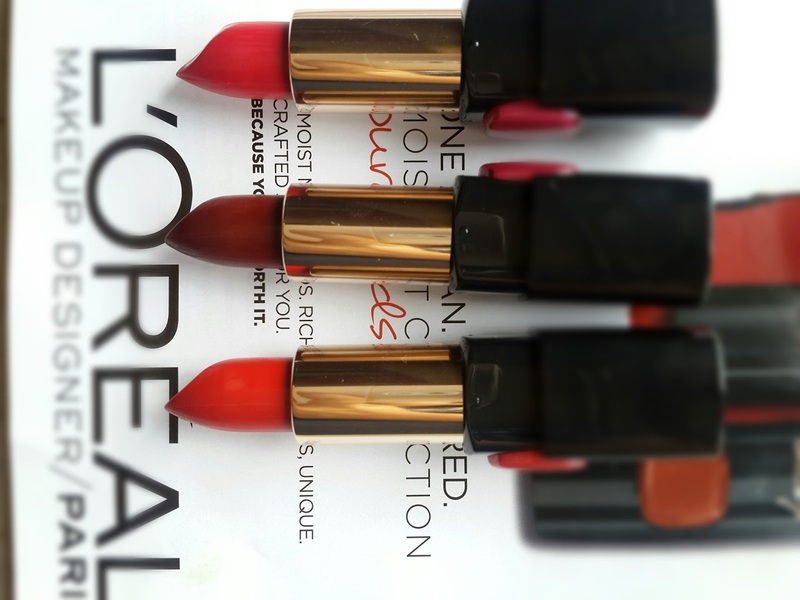 It seems l’oreal is going to paint whole town in RED by having 7 color riche lipsticks in pure red. I was seriously waiting to try on this lipsticks because i truly love matte lipsticks and i am also getting obsessed with bold red lipstick. I feel every women should have a red lipstick no matter of age or skintone. And this collections has got a red lipstick for every women whichever skintone you may have there is red for you. 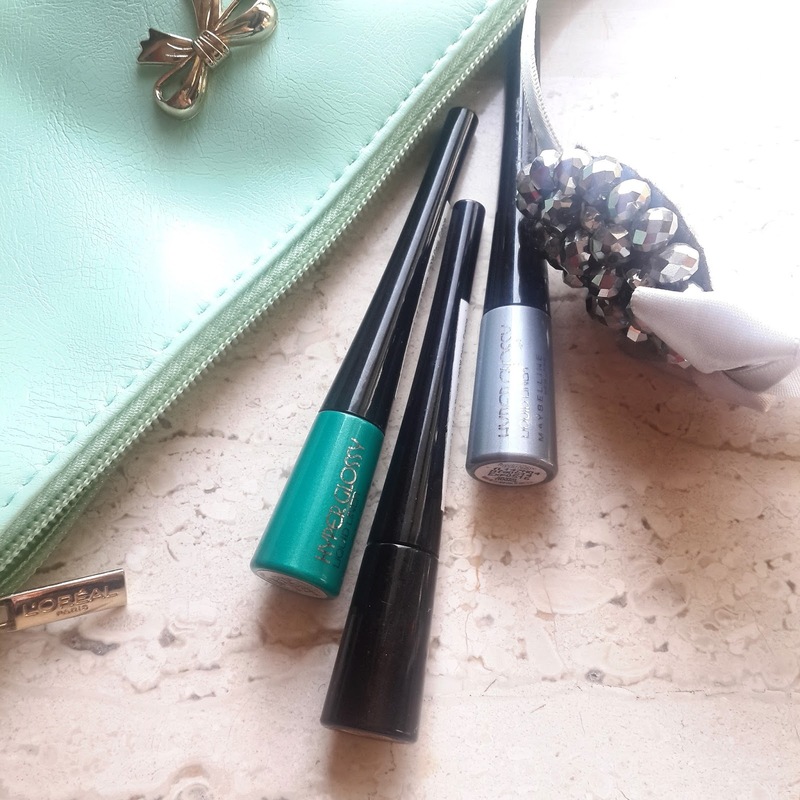 Each color is personalised and signed by 7 loreal ambassadors. From Aishwariya Rai, Sonam kapoor to Blake Lively you can chose the best red for yourself. This celebrities have endorsed their red lipsticks by having their signature on cover. The range is enriched with new Light Illum complex that delivers a rich matte effect. Recently most of the celebrities are seen wearing red lipsticks. And red lips with winged liner gives you the most classy look ever!! its my all time favourite. I always feel red looks most charismatic and makes you more confident. Don’t you think as you apply red lipstick it just makes you feel more powerful more attractive more classy. I always get this feel. 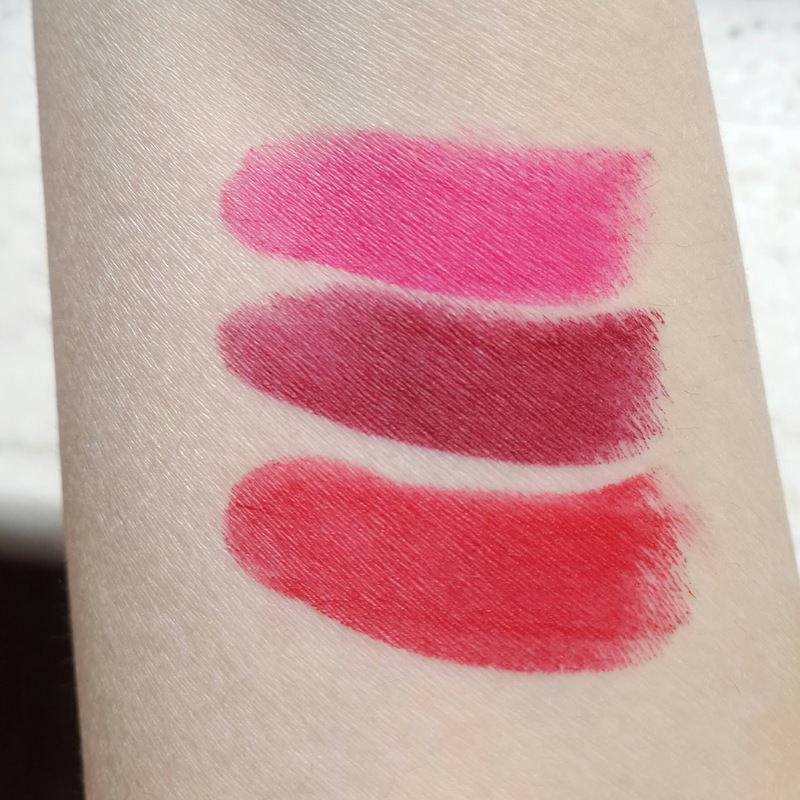 Well lets get back to l'oreal red star collection lipstick their packaging is in glossy black tube with a color indicator on it its like their previous moist matt lipstick. 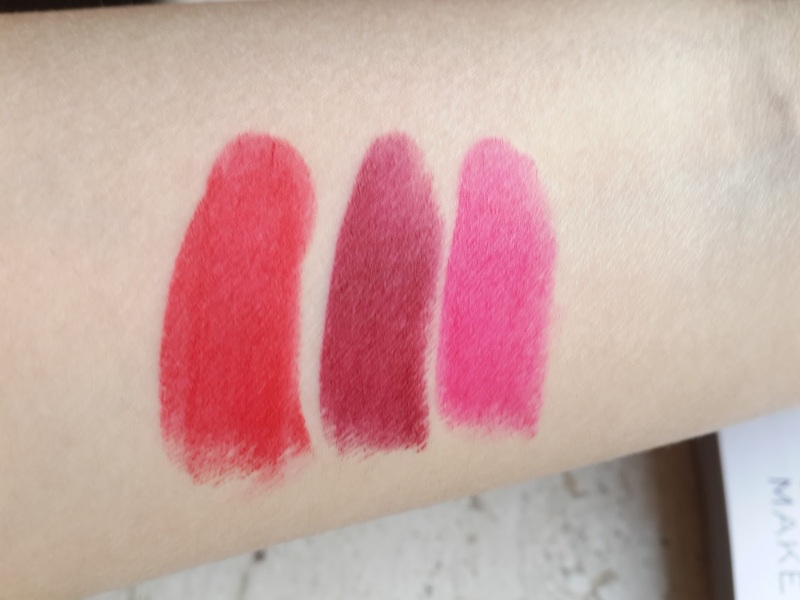 I have got 3 lipstick from this 7 shades and this are my favorites. It looks like a brown lipstick but its quite deep plum color when applied . I think I was first attracted to this shade from whole range. It can go on every skin tone. This one is bright bold red color having yellow tones. 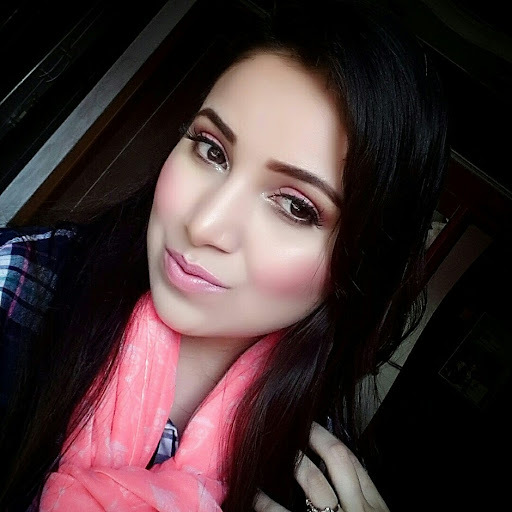 It’s a bold pink shade having red undertones.I don't know why pink is in the collection but I Loved this shade couldn't stop my love for pink lipsticks. it can go on fair to medium tones. They are so smooth and silky on application as this lipsticks are infused with oils they give your lips hydration for upto 4 hrs. It gives you complete velvet like matt effect. Does not dry out after application. I had not used lipbalm and still they were smooth on lips. Inspite of matt lipsticks they are soft in texture and you don’t have to drag them or pull on your lips . For maximum opacity 2 strokes are required. The color payoff is excellent even with one stroke. Does not smudge. Quite long lasting stays for almost 5-6 hrs. and fades leaving a stain. I completely adore this range of lipsticks. Whether its orange ,pink, brick or RED this are perfect if you looking for matt lipsticks. 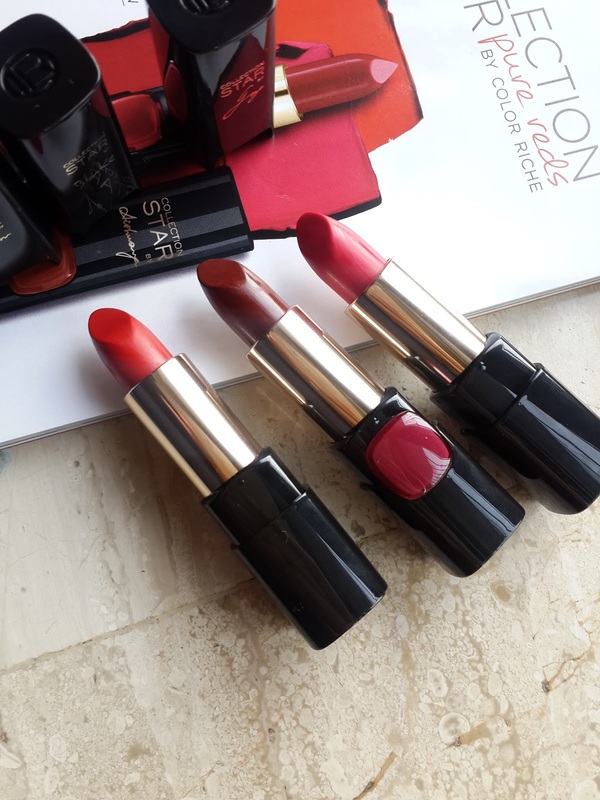 They are quite pricey as compared to their previous range of lipsticks its of RS.995/- You need to try this lipsticks because YOU ARE WORTH IT !!! 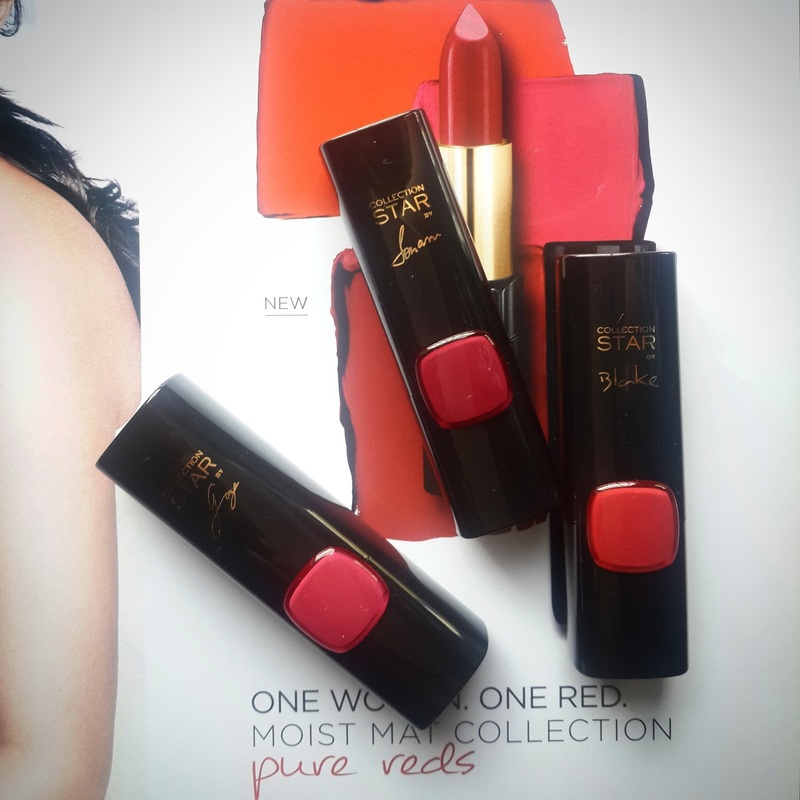 Which one do you prefer to have among this RED Star collection lipsticks?